I’ve got some new bag ideas. One is a modification of a diaper bag pattern I found and the other is a yoga bag that will actually fit my strap, blocks, mat and other necessities. The diaper bag is first on the list. Someone has ordered one as a gift and the baby is a-comin’ soon, so that is the top priority. The yoga bag will be done next. 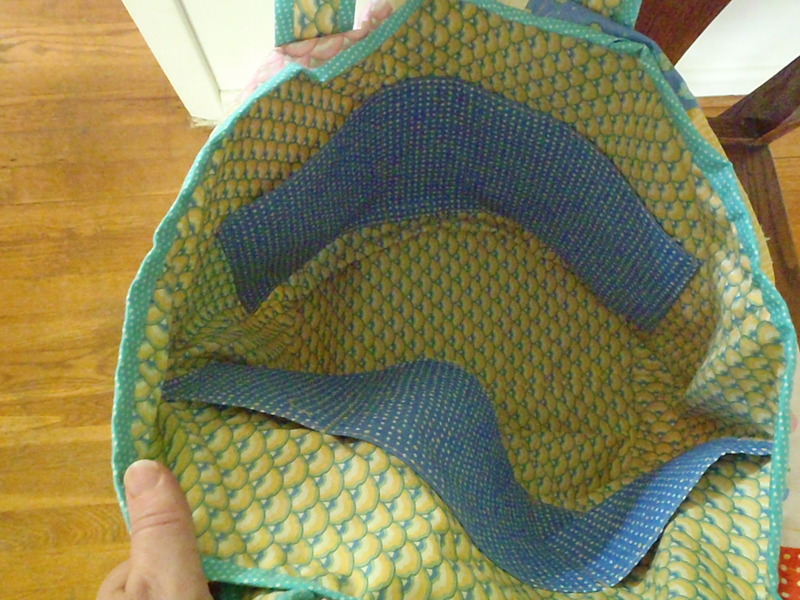 I’m going to a retreat in November and need a bag that will transport all my yoga goodies. And since I’m making it early on I can test it and bring a few others to the retreat should someone be interested in buying one. 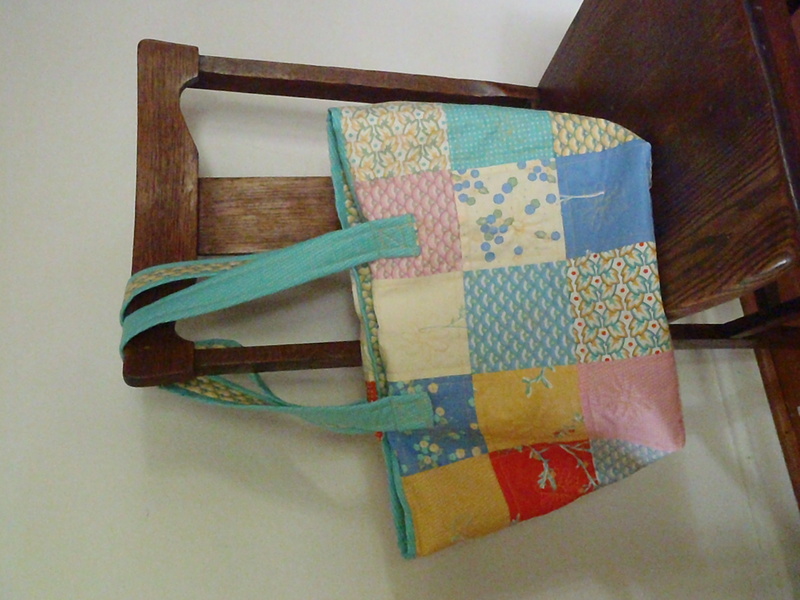 In the meantime, I’ve finished another cute shopping bag. It’s in some softer colors that could be categorized as pastel with some bolder colors for a bit of pop. 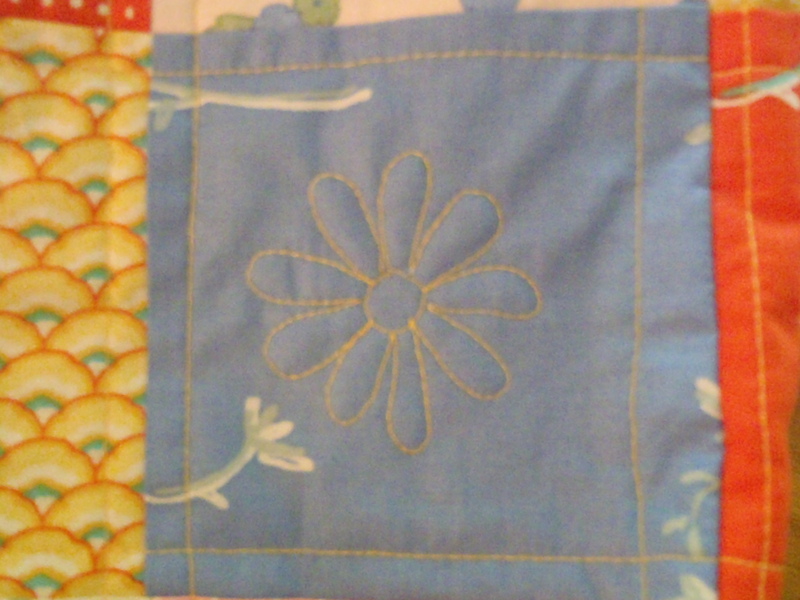 I quilted it in a large grid pattern with a daisy in the center in yellow and I put in 2 pocket on the inside instead of just one. I’m also working on two others. One is in a very bold and bright color palette and the other is more of a traditional colonial/country palette. This one might be fore sale. I have a person who needs to see it first and has right of first refusal. Let me know if one of you might be interested. Price is $45. And of course there are bunch of other bits and pieces that I’m working on. I’m going to get inventory for a home show with my neighbor Cate in late November or early December. 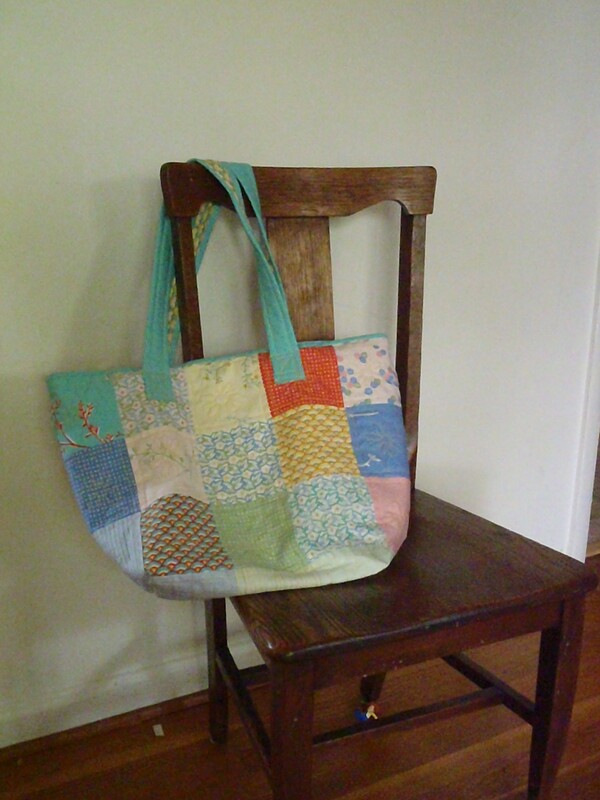 There will be a couple of small quilts, but a lot of different kinds of bags and some grocery bag keepers. And who knows what else I’ll think of in the meantime! Love these! I am gearing up for the fall semester and will be using the bag you made me for my “portable office.” It’s big and roomy but I can still find stuff in it.